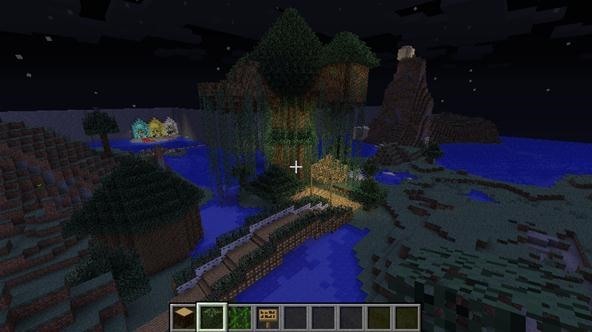 Here is a new picture of my tree house, I added some trees, and a wooden road coming off of a bridge someone had made. Keep in mid that none of it is actually a part of my build (Due to the fact that package 3 doesn't include wooden fence) But I felt it would make the build itself more presentable. Please enjoy! I really love how you connected redmechanic's bridge to yours. They both blend really well together! Great job!